Size Height 306 mm, width 209 mm. Comments The folio is part of a larger sheet of paper combining the folios 136 and 137 . 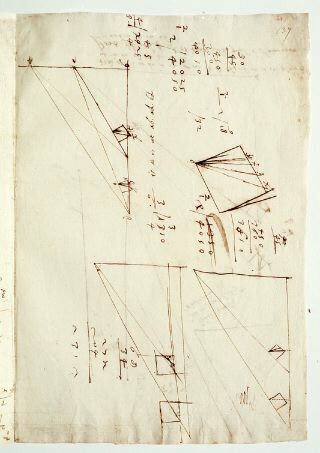 Contains drawings, calculations, minimal text.